Infant deaths from critical congenital heart disease (CCHD) decreased more than 33 percent in eight states that mandated screening for CCHD using a test called pulse oximetry. In addition, deaths from other or unspecified cardiac causes decreased by 21 percent. Pulse oximetry is a simple bedside test to determine the amount of oxygen in a baby’s blood and the baby’s pulse rate. Low levels of oxygen in the blood can be a sign of a CCHD. CCHD screening nationwide could save at least 120 babies each year, according to a new study published in the Journal of the American Medical Association. This study is the first look at the impact of state policies to either require or recommend screening of infants for CCHD at birth. The study, Association of U.S. State Implementation of Newborn Screening Policies for Critical Congenital Heart Disease With Infant Cardiac Deaths, shows that states that required their hospitals to screen newborns with pulse oximetry saw the most significant decrease in infant deaths compared with states without screening policies. Voluntary policies or mandated policies not yet implemented were not associated with reductions in infant death rates. The encouraging news is that 47 states and D.C. now have mandatory screening policies in place and one additional state, California, requires screening be offered. These results serve as a reminder to hospitals across the country to remain vigilant in their screening for CCHD. About 1 in every 4 babies born with a congenital heart defect has CCHD and will need surgery or other procedures in the first year of life. In the U.S., about 7,200 babies born each year have one of seven CCHDs. Without screening by a pulse oximetry reading, some babies born with a congenital heart defect can appear healthy at first and be sent home with their families before their heart defect is detected. 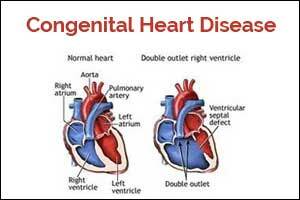 CDC works to identify causes of congenital heart defects, find opportunities to prevent them, and improve the health of people living with these conditions. 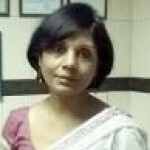 Dr. Nidhi Bhatnagar, Chief Editor Specialty Dialogues, Radiology said that even though today fetal echo is suggested in only high-risk pregnancies, a mandatory screening would definitely be more effective in a triage-like a strategy once the baby is born. The author is M.D., Radio-diagnosis, Ph.D. ( Hony. Seoul) and Assistant Professor, General Secretary, Musculoskeletal Ultrasound Society, Dept of Radiologist and Ultrasonologist, She is a member Editorial Board, Radiology at Specialty Medical Dialogues.